J.C. Penney (JCP) said Thursday it will close about 40 stores over the next year. The closures, which represent nearly 4 percent of the 1,060 Penney U.S. stores, will affect about 2,250 employees, according to spokesman Joey Thomas. Penney's stock was down about 2 percent in early trading Thursday. Most locations will close on or about April 4, Thomas said. "We continually evaluate our store portfolio to determine whether there's a need to close or relocate underperforming stores," Thomas said. "Reviews such as these are essential in meeting our long-term goals for future company growth." The announcement comes one day after the retailer said that its same-store sales rose 3.7 percent during the crux of the holiday season . 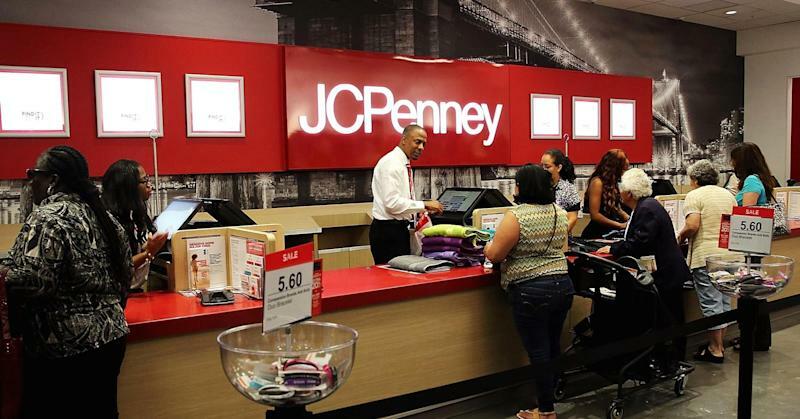 Analysts have been calling for J.C. Penney, along with other retailers that they consider to have too many locations, to downsize their store counts. By shuttering underperforming stores, retailers are able to cut costs in an environment when more sales are taking place online. Just Wednesday, struggling teen company Wet Seal (WTSL) said it is closing 338 retail stores effective immediately. Last month, Sears (SHLD) announced that it would accelerate its store closing plan from 130 underperforming stores to 235. Belus Capital Advisors analyst Brian Sozzi said these announcements would be far from the last. "You will hear more, big-time store closure announcements within the next month," he wrote in an email. Retailers typically announce pending store closings in January. Last year, Penney's announced 33 closings during the month. Thomas said that eligible employees who do not remain with the company will receive benefits and, when possible, assistance in finding a job at a nearby store. The retailer will also offer an on-site career training class.